Washington, Jan 25 (Just News): Veteran US diplomat Bill Richardson has resigned from an international panel set up by Myanmar leader Aung San Suu Kyi to advise on the Rohingya crisis. He claimed the panel was a "whitewash" and accused Ms Suu Kyi of lacking "moral leadership" on the issue. Myanmar's government has not responded, but another member of the panel said Mr Richardson's comments were unfair. 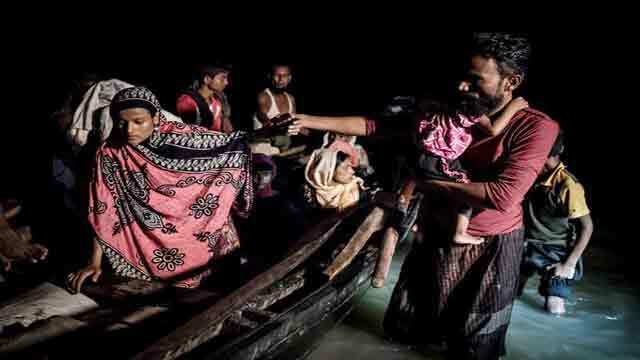 More than 650,000 Muslim Rohingya fled to neighbouring Bangladesh last year in the face of a military crackdown. The military offensive that led to a mass exodus from Myanmar's northern Rakhine state has been described by the United Nations as a "textbook example of ethnic cleansing" - something Myanmar denies. Mr Richardson, a former adviser to the Clinton administration, said "the main reason I am resigning is that this advisory board is a whitewash". He told Reuters he did not want to be part of a "cheerleading squad for the government". He said he had got into an argument with Ms Su Kyi during a meeting on Monday after he raised the case of two Reuters reporters who are on trial for breaching the Official Secrets Act. The journalists were working on coverage of the Rohingya crisis at the time. Ms Suu Kyi was "furious", he said, insisting that the case "was not part of the work of the advisory board". Mr Richardson went on to say he had been "taken aback by the vigour" with which she had "disparaged" the media, the UN, human rights groups and the international community during three days of meetings. And, on Ms Suu Kyi herself - someone he said he had known since the 1980s - he said: "She's not getting good advice from her team. "I like her enormously and respect her. But she has not shown moral leadership on the Rakhine issue and the allegations made, and I regret that." The Advisory Board for the Committee for Implementation of the Recommendations on Rakhine State was set up by Ms Suu Kyi's government last year. Until Mr Richardson resigned, the board had 10 members, five of whom are from overseas. One of those, former South African Defence Minister Roelof Meyer, travelled with the board's remaining members to Rakhine state on Wednesday. He told Reuters the visit had been "very constructive", and said any suggestion the board was "just a rubber stamp or a voice on behalf of the government... would be completely untrue, unfair. We haven't done any recommendations so far."